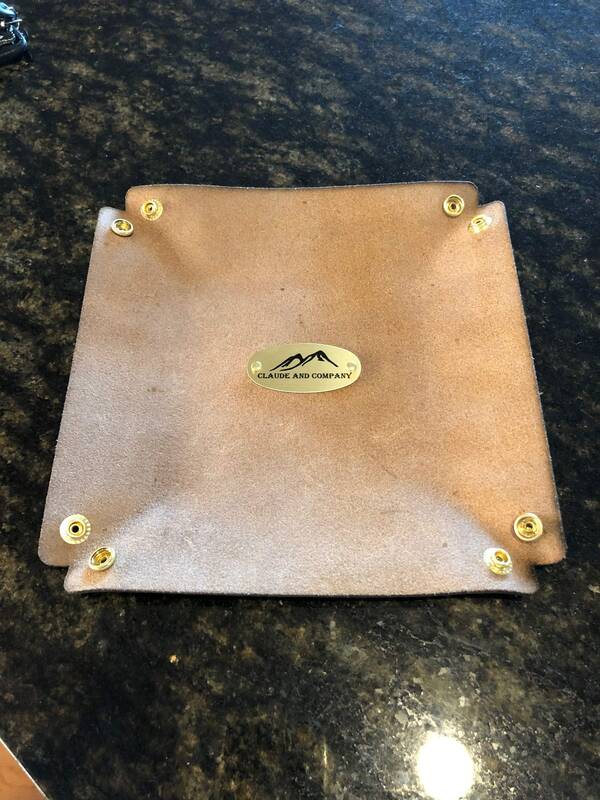 Leather Valet Tray in Crazyhorse Brown/Tan. Snap style with brass snaps. 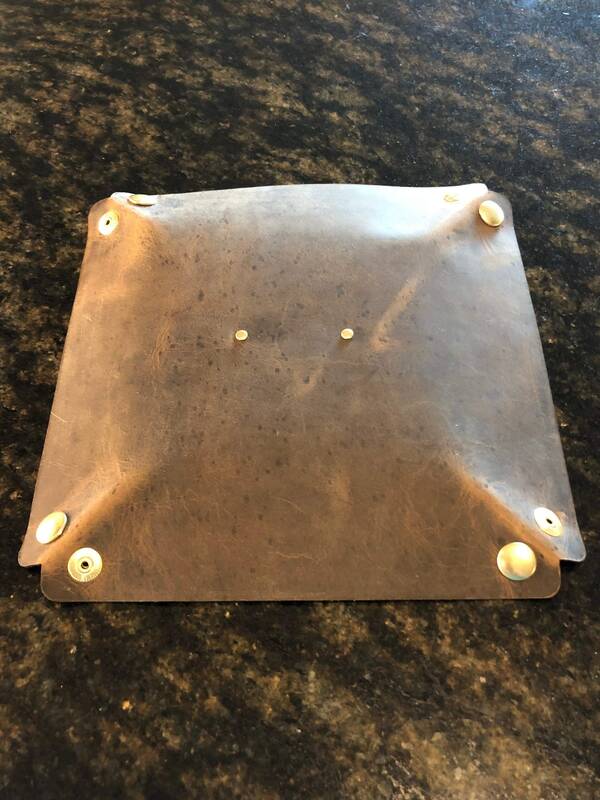 Available with either Solid Brass or Copper Rivets if a "fixed look" is desired. Please note at check out if a "fixed look" is wanted. 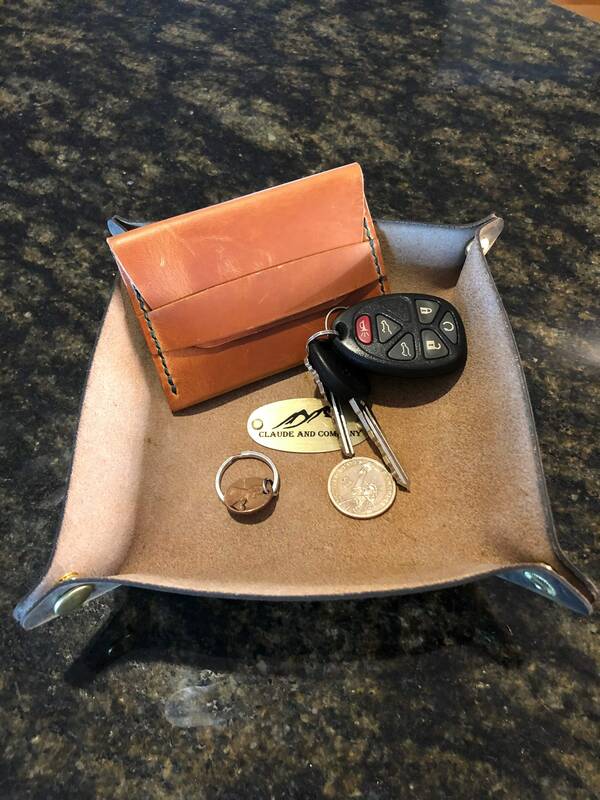 This listing is for the valet tray only and not any items situated in the tray!